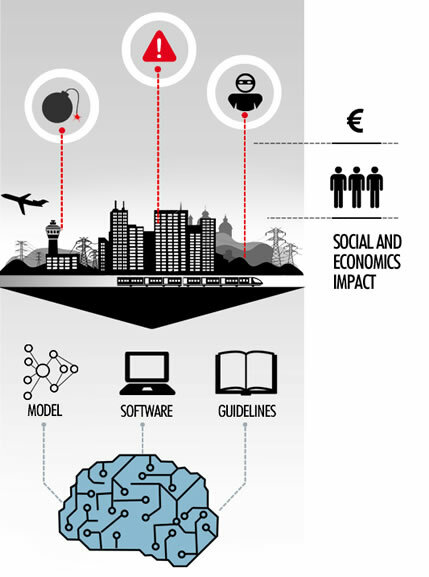 The project SECONOMICS develops approaches and software tools to analyze socio-economical aspects of information security, especially in the context of cyber-physical Systems. The developed models will be validated onto three use cases: the international air transport (airport Anadolu), urban transportation (TMB in Barcelona) and the critical national infrastructure (energy and gas networks of National Grid UK and US). The developed approaches incorporate risk analysis with economical aspect to develop software tools, which aid the decision makers. The contribution of Fraunhofer ISST and TU Dortmund focusses on the model-based analysis of IT security risks.